It’s not so much that Google has been using credit card data to help advertisers run more effective ads. It’s that Google is doing these things on a tremendous scale, and the full nature of what it’s been doing was kept secret. 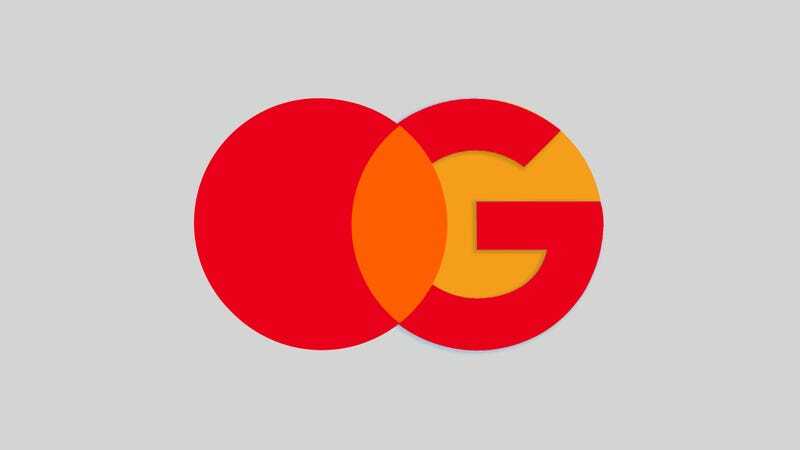 The reported arrangement between Google and Mastercard immediately drew comparisons to the recent saga of Facebook reportedly meeting with banks in an attempt to gain access to its users’ private financial data. According to the Wall Street Journal, Facebook wanted detailed financial information, like checking account balances and even individual transactions. Sources said that Facebook wanted to build chatbots for Messenger so that people could ask a robot simple banking questions, like their current checking account balance. Realistically, Facebook could be doing a lot more with that kind of data. As we now know from the Google news, advertisers would love to know more about how much money you have and how you spend it. A Facebook spokesperson, however, said earlier this month that it doesn’t “use purchase data from banks or credit-card companies for ads.” That Facebook spokesperson also didn’t deny that the company was having conversations with banks to get detailed financial information about their customers. Facebook apparently just wants the world to know that such conversations, if they happened, don’t currently indicate an Orwellian ad engine. When asked to clarify these statements, Facebook did not respond. This Orwellian ad engine does exist in Google’s new tool. Given the secrecy surrounding Google’s alleged Mastercard-assisted ad program, however, it’s hard to know what other tech giants are doing with our personal financial information. Amazon certainly knows a lot about the things we buy, and we learned earlier this year that the online retail giant was exploring the possibility of getting into the banking business itself. The Wall Street Journal has also reported that Amazon, like Facebook and Google, has had conversations with banks about gaining access to personal financial information. Where we go from here is anyone’s guess. The idea that Google, Facebook, and Amazon are interested in people’s financial history and spending habits potentially draws comparisons to how some companies are capitalizing on the so-called social credit score being developed by the Chinese government. This metric combines information about Chinese citizens’ financial health with data from other aspects of their social life, some of which is collected through by online behavior. There’s no indication that American tech companies hope to create an equivalent, but Facebook reportedly did discuss the possibility of including social media data along with FICO credit scores when determining who should get loans. Facebook even patented a technology that would let banks analyze a person’s Facebook data when they applied for a loan. Facebook ultimately backed away from this idea, although it remains to be seen what tech companies could do with financial data behind the scenes. We know that Facebook now has trustworthiness scores for its users. Perhaps some sort of social credit score is next. So the bad news isn’t just that Google is using financial data to bolster its ad business. The worse news is that Google has reportedly been doing a significant part of it in secret, and other tech companies like Facebook and Amazon are exploring ways to get ahold of your banking data, too. Perhaps the worst news, however, is what comes next. It seems unlikely that your Facebook activity will affect whether you can get a mortgage in the future. It seems possible that Google not only knows what you want to buy right now but also what you’re doing tomorrow, where you’re going, who you’ll see. All that said, the good news is that you don’t have to use Facebook or Google or Amazon. If you do, there are easy ways to escape the grasp of data-hungry tech companies. You can install tools like the Privacy Badger to keep from getting followed around the web by invisible trackers. You can avoid staying signed in to Gmail or Google Chrome. You can use Firefox instead. You can cancel your Amazon Prime membership. You can delete your Facebook profile. You can use cash when you shop at Sephora. You can wrap up your phone and laptop in a burlap sack, tie up the package with a sturdy measure of twine, and toss it in the nearest body of flowing water. You can be a spy, too.